OK, here we go. This is the first in a 2 part series on a general approach to kids with cardiac disease. This post, by Dr Andrew Weatherall, is on key points of assessment. The second post in the series will be an attempt to provide simple goals of anaesthesia when looking after these kids. Dr Andrew Weatherall is a paediatric anaesthetist and prehospital doctor, working mostly at The Children’s Hospital at Westmead. He spends some time doing cardiac anaesthesia, including a couple of aid trips. This post also had a check by Dr Justin Skowno, also a cardiac anaesthetist at The Children’s Hospital at Westmead. We all have nightmares. They might have been monsters once. They might relate to Elvis Presley’s diet. For anaesthetists, it can be any number of clinical scenarios. Or sometimes the quality of the next cup of coffee. One that I would venture would come up relatively frequently would be a kid who needs a procedure right now, who has a background including a touch of heart disease. For most people that doesn’t happen in the relative ease of the cardiac operating theatre. The anaesthetic is taking place anywhere but the operating theatre because kids with congenital heart disease have the inconvenient habit of needing the same operations as all other kids. So should it be a worry? Well yes and no. There is an increase in some risks, but it’s entirely possible to make a plan. The overall incidence of congenital cardiac disease is quoted at around 0.8-1% of live births. More of these patients survive childhood than before so we’ll see progressively more teenagers and adults with some sort of congenital cardiac background (this population is growing by between 1 and 5% per year). This group of patients is at increased risk of perioperative complications compared to the next person on the list. In the Paediatric Perioperative Cardiac Arrest registry, patients with CHD accounted for 34% of the 373 cases of anaesthesia-related cardiac arrest. Most commonly this was in patients with a left-to-right shunt, left ventricular outflow tract obstruction, cardiomyopathy or with just the one ventricle. Unsurprisingly those with CHD were more likely to die after cardiac arrest than those without CHD. Check up on the anatomy. The first question to ask is “Does this patient have clinically significant cardiac pathology?” Sometimes this is easy to answer. Sometimes, particularly in younger kids, it might require some sleuthing. Is there a history of being pink or blue (and just as importantly have there been changes to that recently)? Most parents whose child has a history of cyanotic disease will have a pretty good handle on what is normal for them. It’s yet another example of how vital the parent’s understanding of what is normal for their kid is to the assessment. Other key symptoms to look out for include failure to thrive, fatigue or sweating while feeding or any issues with exercise tolerance. Any history of recurrent lower respiratory tract infections or bronchiolitis should also sound a few bells. High pulmonary blood flow may be associated with presentations that look a lot like respiratory infections. Obviously being blue, or a history of multi-coloured spells of any sort should also raise the eyebrows. Insert your flimsy segue from multi-coloured spells to this Monarch caterpillar here. Patients may of course present with signs of congestive cardiac failure. There are rumours that it is even possible to use things you learnt in medical school to help with this assessment. There is still space to look for raised jugular venous pressure. There is even a piece of kit called a stethoscope which you can use to pick up crackles on chest auscultation. Late systolic (so I guess that’s anything but early systolic). Associated with other signs of cardiac disease. The reality is though that these heart rates are fast and it can be hard to be certain with a kid who isn’t entirely cooperative what you’re hearing. But most of us feel comfortable spotting a simple ejection systolic murmur. So if it sounds like that, relax a little (but not entirely). If it doesn’t sound like that, be more worried. On the way past you might want to consider an ECG too. Again, there are lots of specific rules, but the most worrying thing to look for would be anything that looks like ventricular hypertrophy. Think big voltages and weird axes. Of course, it’s a snapshot and you can only use it to contribute to a bigger picture of how much risk there might be with the particular kid in front of you who needs a particular operation. Most patients with a history of cardiac disease have seen people about their cardiac disease. Checking in with them wherever possible is common sense. They may well have some recent info that’s relevant. Just as importantly they might well have a functional history – what this patient is like on a day-to-day basis. One of the stimulating things about kids’ cardiac disease is the plumbing has as many variants as a 4 year old with a Lego fetish could come up with. It’s not quite so stimulating when you’ve got to do that emergency case of course. With so many plumbing options there’s also a bunch of different ways to classify the wacky anatomy. So let’s choose pink and blue, or acyanotic and cyanotic lesions. The first thing to understand is that pink patients aren’t always well, and blue patients aren’t always unwell. If the patient is pink it implies there’s either no shunting of blood between sides of the circulation, or the shunting goes from the left side of the circulation to the right side, so that any blood eventually ejected to the systemic circulation has been oxygenated. The key question if the patient is pink is to figure out whether there is shunting (as compared to coarctation, or aortic stenosis or the like), and if there is mixing happening at some level whether that shunt is big. The patient with a big left-to-right shunt already has elevated pulmonary blood flow and there is a chance you could make this flow increase even more if you give lots of oxygen and over-enthusiastic bag mask ventilation. For blue patients, it’s worth establishing what is normal for them. Life gets easier if you have some sense of the size of the shunt. So you’re particularly looking for what their normal saturations are, and whether that has changed. Parents generally know this. The blood is getting oxygenated somehow, so if the saturations are lower than usual then either less blood is going through that pathway, or something is impeding gas exchange in the lungs. If the saturations are higher than normal, it suggests there is more flow than usual through the pathway for oxygenation (not that common really). The point of figuring out what their normal saturations are is that when they turn up with their unrelated issue, chances are whatever reading horrifies you at first is probably just normal for them. You don’t have to adjust them as much as you have to adjust your tolerance levels for what is normal. Parallel/Balanced circulations where blood can go into the systemic or pulmonary circulations (truncus arteriosus). Anything including “hypoplastic” then either the right or left heart. 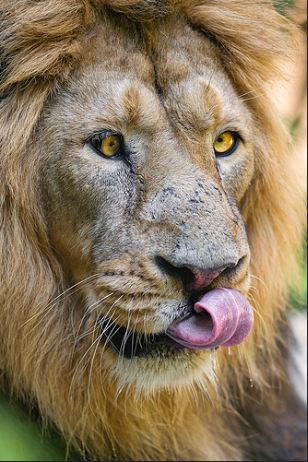 As a general rule it is good to be nervous around all lions, even when they are cross-eyed and licking their nose. So you’ve done some assessment but now you need to give an anaesthetic. And that will have to wait for the second post in the series where I’ll try to come up with some simple ways to plan your very clever anaesthetic. Gottlieb EA, Andropoulos DB. Anaesthesia for the patient with congenital heart disease presenting for noncardiac surgery. Current Opinion in Anaesthesiology. 2013;26:318-326. White MC, Peyton JM. Anaesthetic management of children with congenital heart disease for non-cardiac surgery. Continuing Education in Anaesthesia, Critical Care and Pain. 2012;12:23-7. Ramamoorthy C, Haberkern CM, Bhananker SM, Domino KB, Posner KL, Campos JS et al. Anesthesia-Related Cardiac Arrest in Children with Heart Disease. Anesthesia and Analgesia. 2010;110:1376-82. Flick RP, Sprung J, Harrison TE, Gleich SJ, Schroeder DR, Hanson AC, et al. Perioperative cardiac arrests in children between 1988 and 2005 at a tertiary referral centre: a study of 92,881 patients. Anesthesiology. 2007;106:226-37. Please note that all posts should be interpreted as general discussion and information should be placed by the clever clinician in their own context. 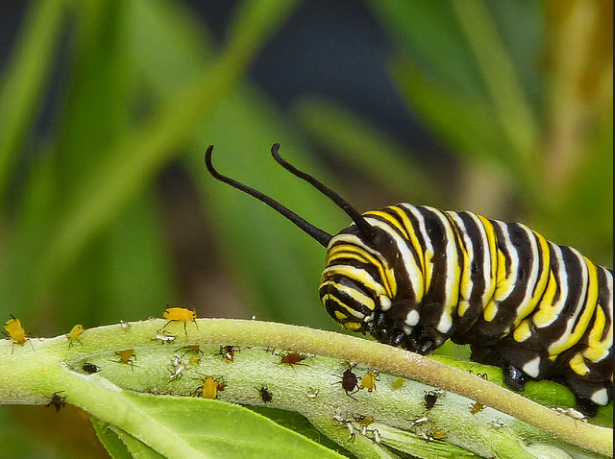 The image of the Monarch caterpillar is unaltered from the post by Sid Mosdell on flickr creative commons. The image of the lion is also unaltered from flickr creative commons and was posted by Tambako the Jaguar.